More Island Music floats through my studio. 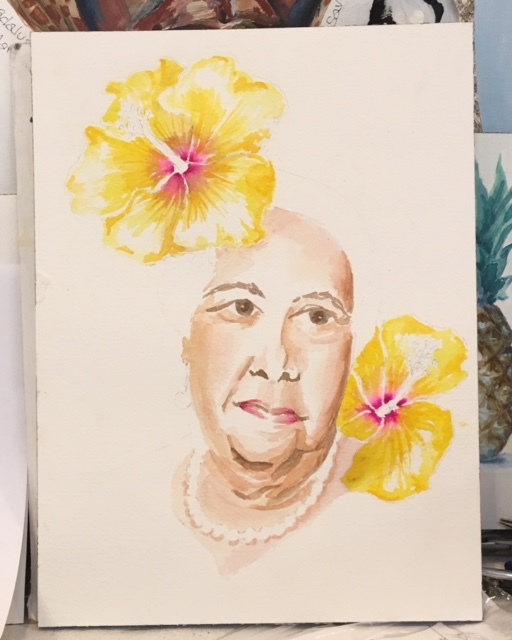 And work on the commissioned portrait of Mary Kawena Pukui continues. Today you will see the addition of the Hawaiian state flower, the Yellow Hibiscus. Because she was frequently photographed with a flower in her hair, I have chosen to include not only one, but two of the state's flowers in this painting. 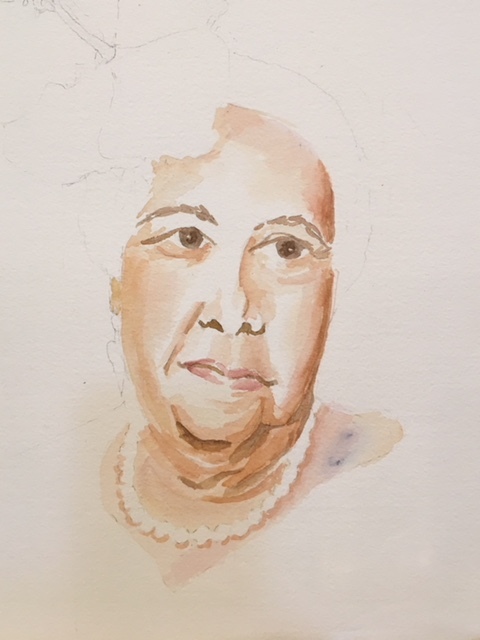 I have also deepened some of the facial shadows and color on her lips to relate to the intense magenta found in the center of the flower. This wonderful woman, a Hawaiian Treasure, came into my life when I was commissioned by the magazine The Perpetual You to create her portrait for an upcoming issue that deals with legacy. 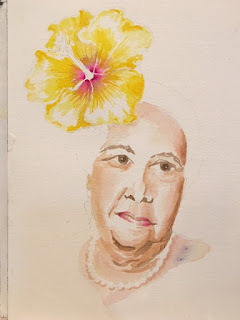 Mary Kawena Pukui left a legacy steeped in Hawaiiana through her teaching, writing and musical talents. Painting continues, bringing this portrait to completion. Check back to watch the progress.